I have noticed lots of activity in the LF/MF forum, but you are all unregistered. Please join up and post! Ask questions and share your work. So if you are a 4x5 fan, a Hassy-head, or even a Holga nut, let's hear from you! Ok, to get this started, I'll go first. I shoot digital most of the time, with a Nikon D200, but I really enjoy Medium Format film. You don't necessarily have to spend thousands to get a good MF camera, or even hundreds. 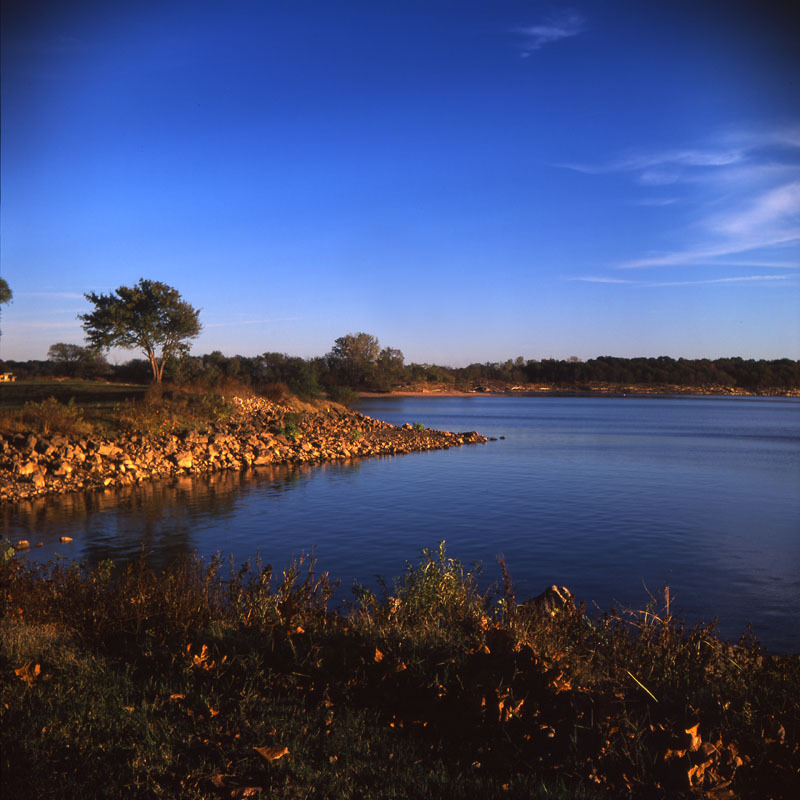 Here is a shot I took with a $40 Lubitel 166b on Velvia film. It is hard to see in this web sized shot, but there is plenty of detail from the Lubi's simple glass lens, and the Velvia colors are unmistakable. Anybody else have some MF on a budget shots to share? I don't have any to share. But this is a neat shot, even web-sized. Colors are incredible here. Film is still cool. Ok, I'll bite. I'm a new member to Camel and just found this forum. I have the Busch Pressman Mod.D that was my Dad's warhorse since I can remember. At around 5yo in the mid 50's I was his "assistant" at everything from wedding to funerals. He was a Pro from the 1930's till retirement in 1974. It's a wonderful body with a lot of memories. I still have the old flashgun and even some bulbs. Two boards with lenses and a bunch of other stuff. I've fired it up every once in awhile but haven't in a few years. I'm going to get it out again and devote it to B&W but like I said it's been awhile and most of my wet room things are gone. Any ideas on the easiest way to get back into the swing of things? Easiest way? I'd guess buy some film (BHPhoto?) and give it a sample run...? Oh, and post the results so people can see, learn, or educate accordingly. The easiest, but not the cheapest way, is to get a Polaroid back, as long as the Pressman D will take one. It should, but I'd check before just ordering one. I have a Pressman C and it has a springlock back. You can get a box of 4 x 5 film and play that way. The cheaper but more expensive way is to buy some 4 x 5 sheet film and film holders if you don't have any. I need to get mine out too. Polaroid is the quick way, and least messy. Did you scan it, or re-shoot the trannie with the D200 and a macro ? I picked up a box of Velvia 50 on the weekend for my newly acquired Mamiya 645, so hopefully in the next 2 weeks, I'll get something on here. Gotta love that Lubitel. That cheap little lens really is sharp, I've got some nice shots from mine. That lomography company (that made, or at least tried to make, the Holga & the LC-A so fashionable) is selling them for two or three hundred dollars! I got mine for $5 from Ukraine. I do have the solve the back door light leaks on it someday (should be a simple enough fix). Would also help to calibrate the film advance dial so I wouldn't have to look through the rear red window. Thanks, Rick. It is a scanned shot. Walter, I got mine from the Ukraine too, but for about $35 more. It's still worth it though. I put two strips of Velcro on either side of the back to snug it up. Lomography.com really has something going with the Lomos. It's craxy that people will spend so much for an LC-A! Oh yeah, I know I got really lucky with the $5 one. I actually felt kind of bad for the seller given that every other auction at the same time was going for at least $30. I don't know how that happened.